Welcome to Bears Den. Treat your family to one of the best locations in the Smokies. Tucked away in a woodsy setting at the base of the Great Smoky Mtns. National Park, Bears Den allows you and your loved ones to enjoy all that the park has to offer. As you enter the cabin, the open floor plan conveys "Welcome Home Friends and Family". Just off the living-room, you will discover comfort at its finest. The main level bedroom offers a place of solitude. Upstairs, the open loft area features an Air Hockey Table, Pool Table, and Fooseball Table - great for rainy days and nights. Additionally, upstairs, you will find a large bedroom which houses a Queen Bed and 2 sets of Twin Size Bunks. Outside, you will find a family friendly fire-pit. You must provide your own fire starter logs. No lighter fluid allowed. 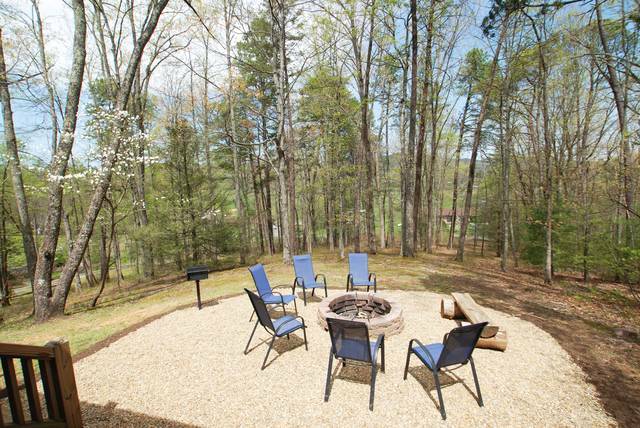 Gather round the fire-pit and create wonderful memories. The outdoor hot tub is on the front porch. Bears Den is a great choice when planning your family vacation.